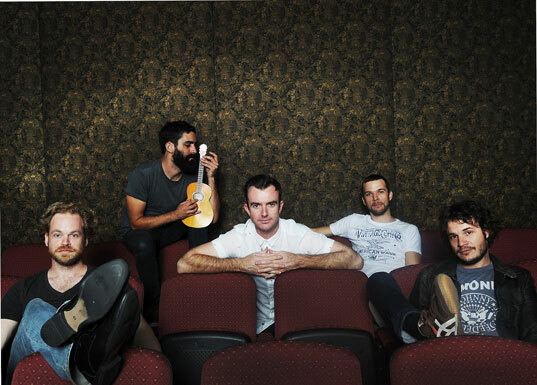 Local prog superstars Karnivool have announced their first Australian dates in over a year, with a five-state jaunt planned for June and July with Redcoats and OzProg favourites sleepmakeswaves. Tickets from heatseeker.com.au, Cool Change, Karratha and the venue. Tickets from heatseeker.com.au and the venue. Tickets from oztix.com.au, OzTix outlets and the venue. Tickets from oztix.com.au and the venue. Tickets from thehifi.com.au, moshtix.com.au, Moshtix outlets and the venue. Tickets from moshtix.com.au, Moshtix outlets and the venue. Tickets from thenorthern.com.au, oztix.com.au and the venue. Tickets from ticketek.com and thetivoli.com.au. Tickets from heatseeker.com.au, Planet, 78’s, Mills and Star. We here at Karnivool HQ are more than pleased to announce that the 10 legged beast that is Karnivool has now arisen from it’s slumbers, and has plans to get a little festive with their fans on the “Melodias Frescas” tour which will see the band hit the highways through June and July. Yes folks, the “Melodias Frescas” tour, translation “Fresh Tunes”, will reveal to the world some of the band’s new material which has been agonised over in Perth over the past year. Tickets for Karnivool’s “Melodias Frescas” tour are on sale now!! Since Karnivool’s last Australian jaunt (a year ago), most of the time has been spent with various members taking a little bit of time off the road, or on the road with other projects, as well as tinkering around in a studio in Perth putting the bits and pieces of Karnivool’s third album together. The global success of “Sound Awake” meant nearly three years of touring globally, so it was definitely time for a little breather. Of course over the past year there were a few things thrown in to keep the band busy, including a flying 4 festivals in 4 days tour of Europe which culminated in Karnivool playing to 8000 screaming Dutch fans at Lowlands Festival in The Netherlands. Karnivool also took the time at the end of 2011 to travel to Mumbai to headline Mood Indigo Festival, which will surely remain as one of the most memorable shows they have played to date. Having 10,000 Indian fans in an arena singing along to “New Day” in a shower of confetti will not be forgotten for some time! Hopefully there will be a taste of that on the forthcoming Karnivool DVD, which with shooting now complete, is being edited as we speak, and will be available sometime mid this year. Even though the band has been busy internationally and somewhat off the radar in Australia, the “Melodias Frescas” Tour will change that. As a collective Karnivool loves to take new material out on the road to give it a bit of a shake before the band head into the studio, so this tour will give people a glimpse of the Vool’s new musical knickers as they pirouette across the country. 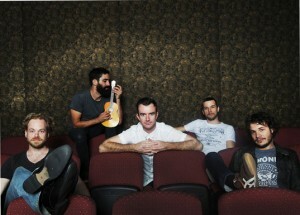 Joining Karnivool on the Melodias Frescas tour are two of Australia’s most exciting bands. Victorian triple j ‘Next Crop’ rockers Redcoats with their epic single “Dreamshaker” and Sydney’s instrumental post-rock band sleepmakeswaves fresh from playing SXSW and touring both the USA and Europe. Get ’em while you can people!